Spam, junk, malware: Why we must stop using email now! Recently, during the TechGenix Xtreme podcast, we have been talking/ranting/complaining often about malware infestations and we even listened to Derek Kortepeter as he predicted the most recent attack. Not so long ago I woke up to multiple notices announcing that a number of organizations had once again been hit with ransomware, which resulted in at least an hour of my time spent accessing all of my various email accounts to ensure there were no phishing emails. If you are lucky enough to be unfamiliar with ransomware, it is defined as malware that will block your data until such time as a ransom is paid to some unscrupulous bad guy. While there are many backdoors into systems that can allow malware to be installed, more often than not it is the result of a user within our enterprise who unknowingly makes the mistake of opening up an email from an unknown sender. 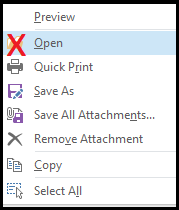 If that mistake in and of itself does not return devastating results, we also need to train ourselves, our users, and apparently our mother, and mother-in-law to refrain from opening up attachments from unknown senders. In light of all of this, I can’t help but wonder if email has reached the end of its usefulness. Are we witnessing the end of email? The challenge is that it only takes one click, one unfocused moment, one slight lapse of judgement, and the results can be catastrophic. Personally, I receive hundreds of emails each week. Most are junk. Of the remainder, many are rambling notes that are poorly written and never seem to quite get to the point. Of the one or possibly two emails that are of value, I have usually spoken to the sender in person or on the phone and the email is simply a follow-up. With the high level of risk that is associated with email applications, I am left to ponder why, with all of the many options available to us, we continue this insanity. Text messaging is so popular that unsafe drivers continually draw attention to themselves as they formulate their important responses, and the list of text messaging tools seem almost limitless. Web conferencing, my medium of choice, is ever popular with Cisco’s Webex and Citrix’s GoToMeeting. There are video conferencing tools such as Google Hangouts and Skype, and yet we continue to setup and maintain multiple email accounts knowing full well the impact of malicious malware. Don’t even get me started on phishing emails. Ever think you are applying for a job only to find your inbox filled with spam? Let’s just stop the insanity! Let’s just all quit email. Why are we so obsessed? This seems to be an obsolete medium with an extremely high risk and impact rate. The amount of wasted time sifting through and attempting to sort email does not seem to be an efficient use of employee time. The Washington Post reports that we spend 4.1 hours of each work day checking email. HuffPost conducted a survey and reported that in the United States, employees spend an astounding 6.3 hours a day on email, and in Canada Global News reports that we are spending one-third of our office time on email and then continuing with work email upon returning home in the evening. Let’s do some simple math. If we average out the amount of time as reported in these three separate articles, we get an average of 4.3 hours per workday spent on email. Note that I used a 7.5 hour workday for the Canadian content, which means 2.5 hours per day spent on email. I believe that number to be quite low, but for the sake of argument I will use it. So, the average is (2.5+4.1+6.3)/3=4.3. Let’s just agree that, at a minimum, 43 percent of our time at work is spent on email. Just to get an idea of the cost to an organization, I attempted to look at the average salaries of various U.S. and Canadian cities, but the data was so conflicting and erroneous that let’s just say that the average salary in your organization is $50,000 per year and we won’t complicate this with exchange. Simply put, the cost to your organization is 43 percent of $50,000, or $21,500 annually per employee. For a small business, this could be dollars devoted to more productive activity. For larger corporations, add the appropriate number of zeros to this number and sit back and gasp. Enough said. 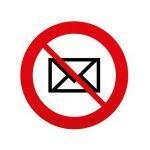 Home » Articles » Stop using email! Now! Excellent points on how all of us rely on email too much, often to our detriment - even when other forms of business communication are more appropriate and more effective. We also should consider the often misguided reliance on email auto-archiving and the CYA factor (and I don't mean the Canadian Yachting Association). Thanks Louise! (Question and answer). The switch to email significantly reduced telephone cost and increased overall productivity through more accurate data to work with. The phrase "Coining a phrase saves paying a toll" had created a new emphasis toward success within its corporation. To eliminate email, potentially a good idea, needs to have a solution that would eliminate the current issues you mentioned while being accepted by both individuals and Corporate infrastructure. If you can't get people to stop clicking on malicious links; if you can't get people to stop falling for scams, and if you can't get people to stop using passwords, like "12345", "password",etc., why expect them to stop using email? Besides, some ISPs provide great spam filtering systems (like Iron Port), so I only spend a few minutes/day doing due diligence on the results. Email is also great for stalling when you need more time to come up with a good answer. If it is true that 43% of an employee's time is spent on email,isn't the real issue whether the productivity is stifled and by how much? As in all communications timely response depends on the respondent, not necessarily on the medium. Love your comment on email being great for stalling! It's so true! In this week's podcast, Peter commented that I will probably be able to re-publish this article in five years and nothing would have changed! The two of you are probably right! There are intermediary steps that could be taken; an organization can automatically remove all hyperlinks (or force text formatting) and remove all attachments. That would keep the basic messaging functionality of email in place while preventing malicious links or files from being received. The problem with an organization removing all hyperlinks, forcing text formatting and/or removing attachments is that there would be lost productivity converting back to hyperlinks, while critical, valid information in attachments will not reach the action individual. Do we really want the IT department deciding what we need to see and act on? Even if one organization stops using email, it is unlikely that its suppliers, customers and other related entities would also stop, and surely not simultaneously. My main objection to an order to stop using email (or anything else) is that it is a blanket command which, if implemented, can result in harmful consequences as well as increased costs, especially for small businesses, which have fewer resources than large organizations. The imperfect world solution is educating people to avoid the pitfalls of using email, and deterrence through stiff(er) penalties for abuse (spamming, malware,etc). 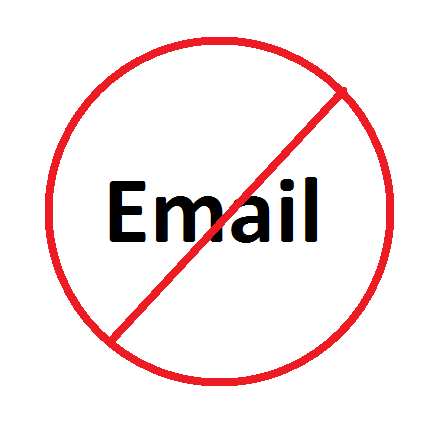 We will stop using email when it has no value, and that may be never. first and most important: DONT USE WEB-BASED EMAIL! -- and btw, this article was sent by techgenix to my email! Not to be insulting, but isn't "DONT USE WEB-BASED EMAIL!" a sweeping pronouncement? Awesome comments! Peter and I will be discussing them in this weeks podcast. Definitely a great topic for discussion. Text messaging is wonderful if you can stop all the spamming and phishing that builds up over time. Oh my, that is just like email. What a surprise. I have finally turned off text messaging in my android phone after all the "crap" that started appearing. You either call me or email me. Web based email is a disaster waiting to happen. My solution is to use the completely outdated Eudora email client in the text only mode for incoming and outgoing email and using their very good filtering system to trap all the spam key words. I am old school, yes. I have not had an attack of any kind in five years. YES! Email has served me extremely well because I can get all of my notifications in one place. Other than that, you seem to be missing one big thing. You mentioned that we need to stop using email mostly because a huge percentage of infections happen through it. But, will that really prevent viruses and ransomware from further infecting people? Of course not! That is because cyber criminals will always find alternatives to infect us. Useful features that are helpful to our everyday lives can easily be abused by cyber criminals to infect us.